An 'A to Z' collection of short-line and industrial railroad photographs. 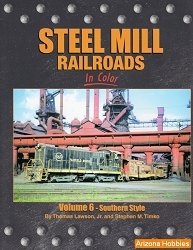 Includes a behind the scenes look at industrial railroad operations. Morning Sun Books, soft cover, 96 pages, 11 x 8.5 x .25 in., all Color photographs with captions.